Corporate bookmark, in a shape of client's choice, with full colour printing and lamination, either attached on the ribbon or free. So, when the book is closed, the bookmark expands under the cover of the book in such a way, that delivers the company's message creatively. 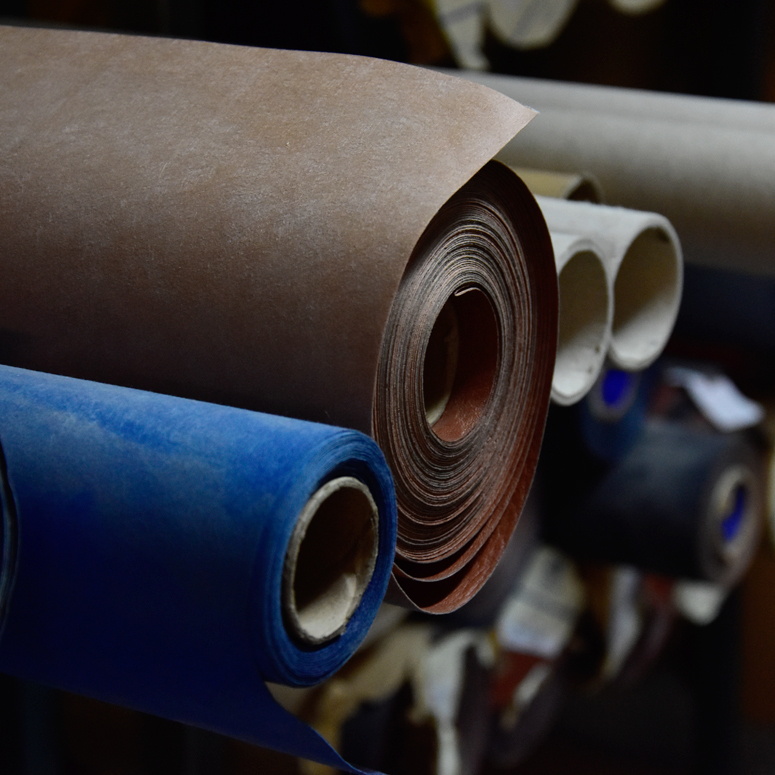 Binding materials in many textures and shades, suitable for hot or foil or colour embossing. Option of customized combination according to the customer's specifications. Gift box wth logo printing on the outside and window cut for personalized books. Combination of a diary or notebook with a pen or pencil printed with company's logo so as to to offer a complete corporate gift. 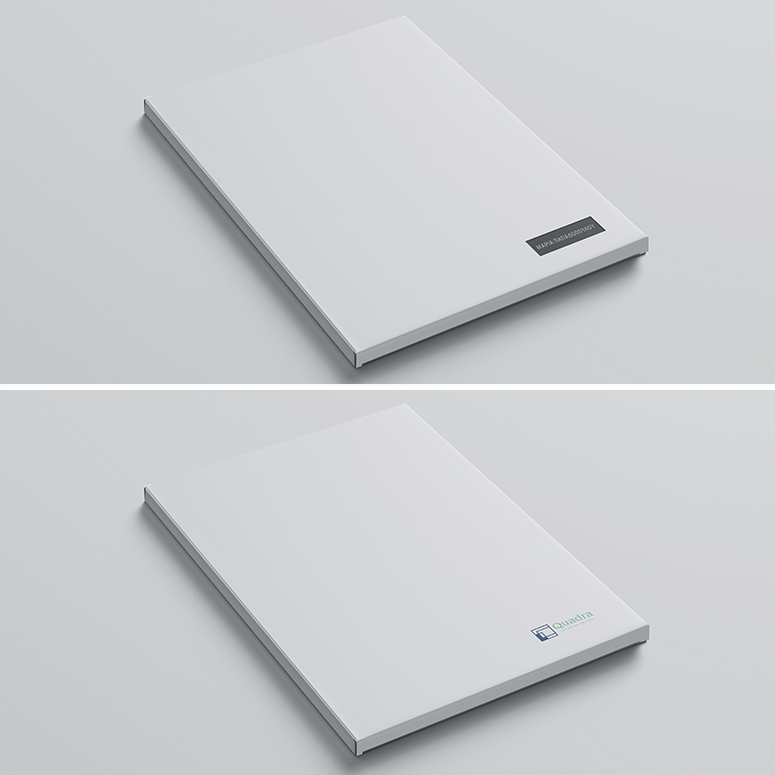 A paperband fits the book cover horizontally or vertically with customized design and full colour printing. It also serves as a gift box and is recommended as a wish card to express a thank you. 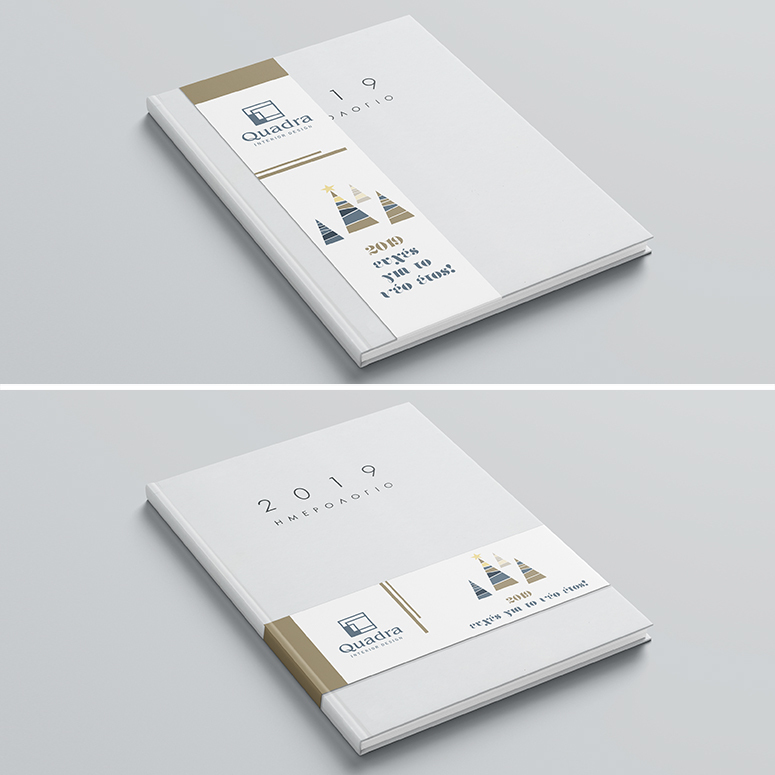 Stainless steel brass, with logo engraving and colorized with client's colours, attached to the elastic closure of the book, especially designed and produced for each customer. 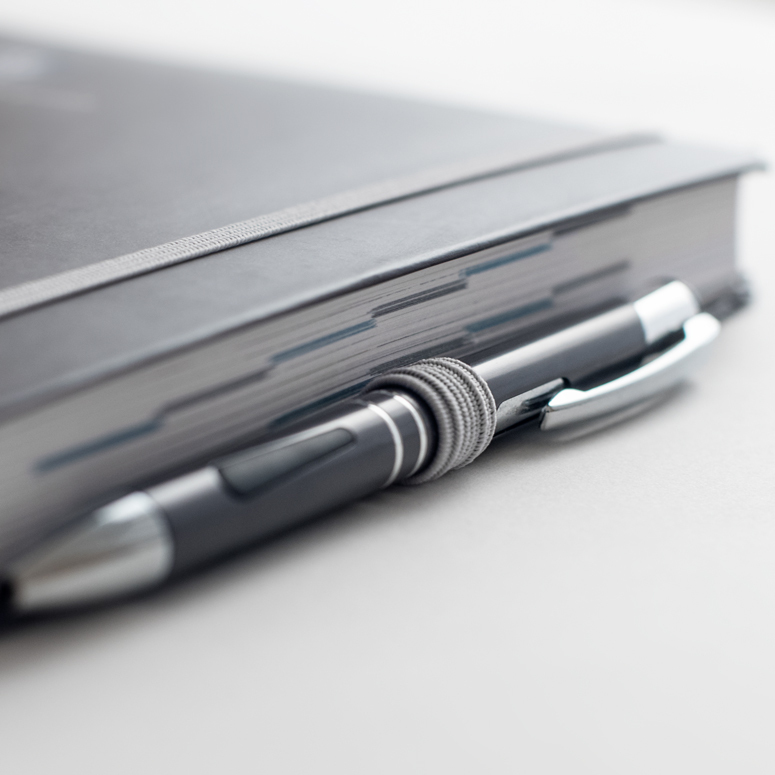 Pen loop at the end of the book. Available colours: black, dark grey, light grey, brown, red, blue, light blue, green, yellow and orange. 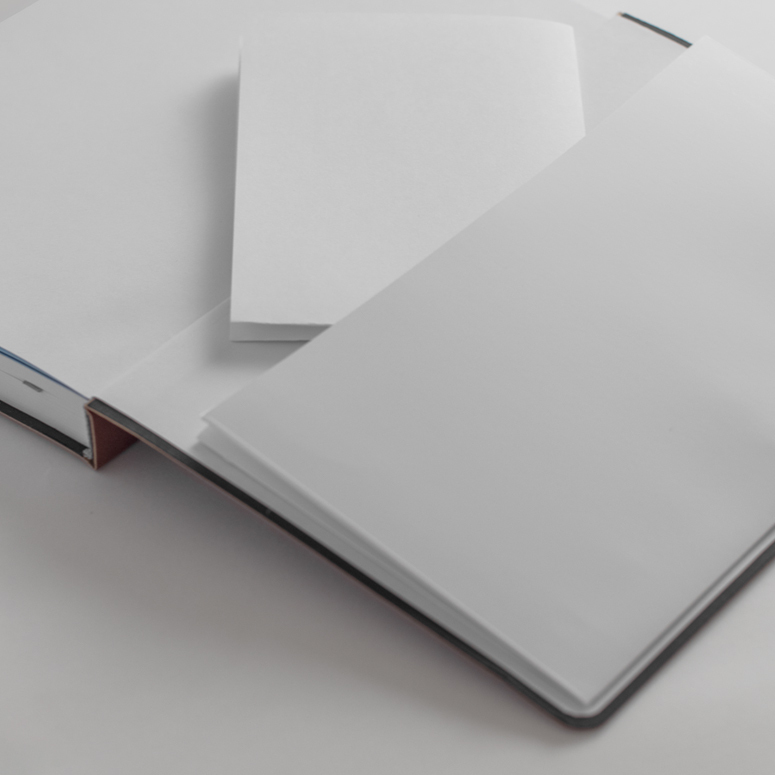 Document folder at the end of the book with special mini pockets for small documents and cards. 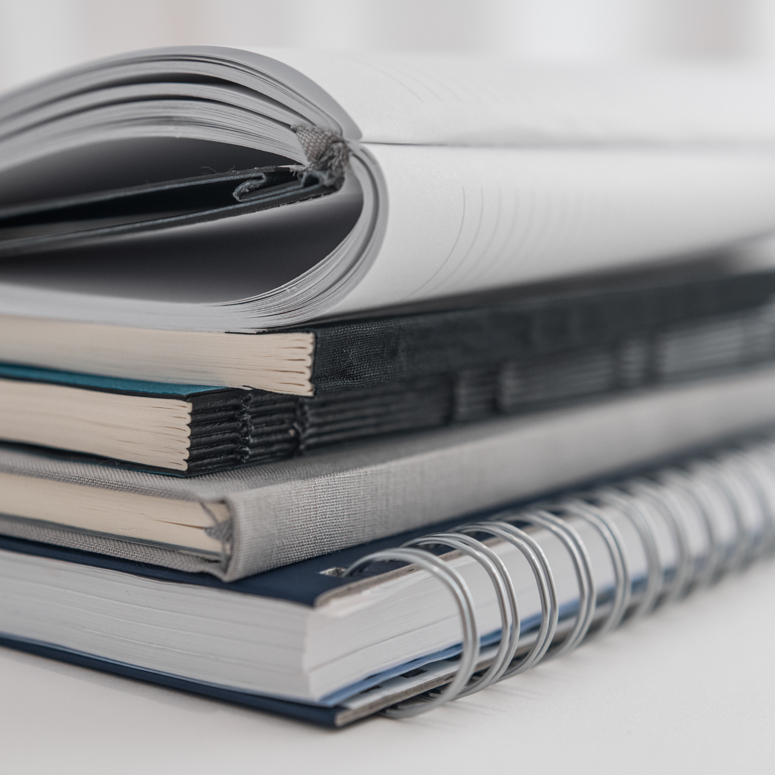 Its advantage lies in its shape, because of its vertical opening it can store larger documents than the size of the book. 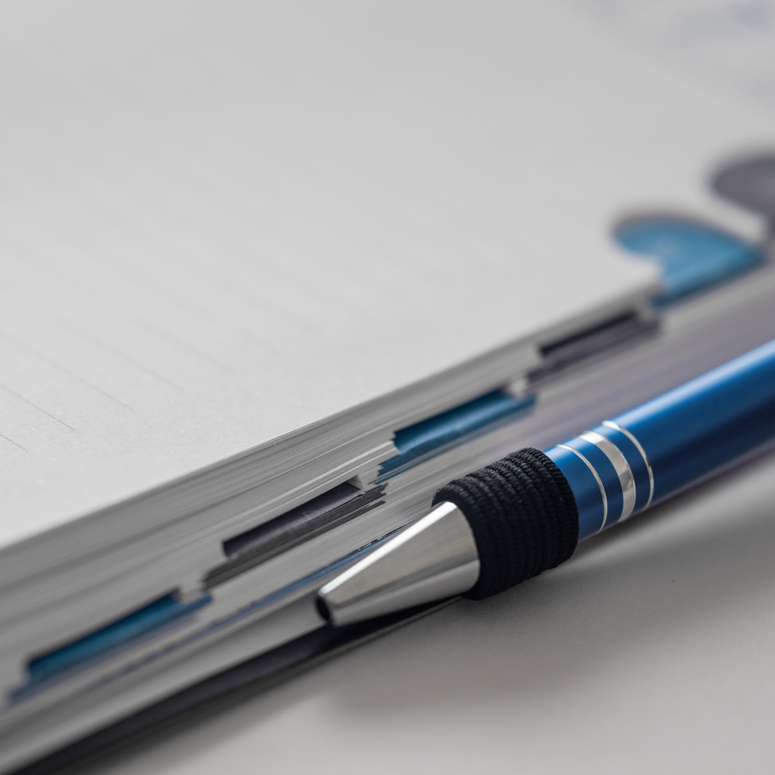 Document pocket in the inside part of the cover, whose storage capacity is adjusted according to the number of documents and thus it becomes more ergonomic. 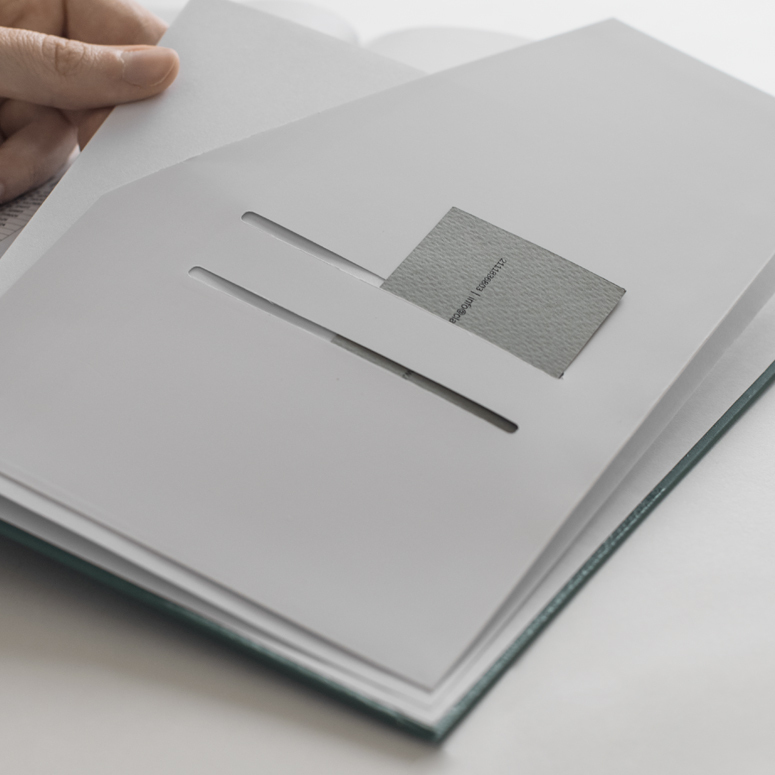 Elastic closure attached on the cover of the book. Available colours: black, dark grey, light grey, brown, red, blue, light blue, green, yellow and orange. It is installed in such a way so as to remain stable even after continuous and heavy use, withount loosing its holding strength. Option of tailor made publications (full colour offset printing and bookbinding) for diares and notebooks according to the specifications of the client and its corporate identity. 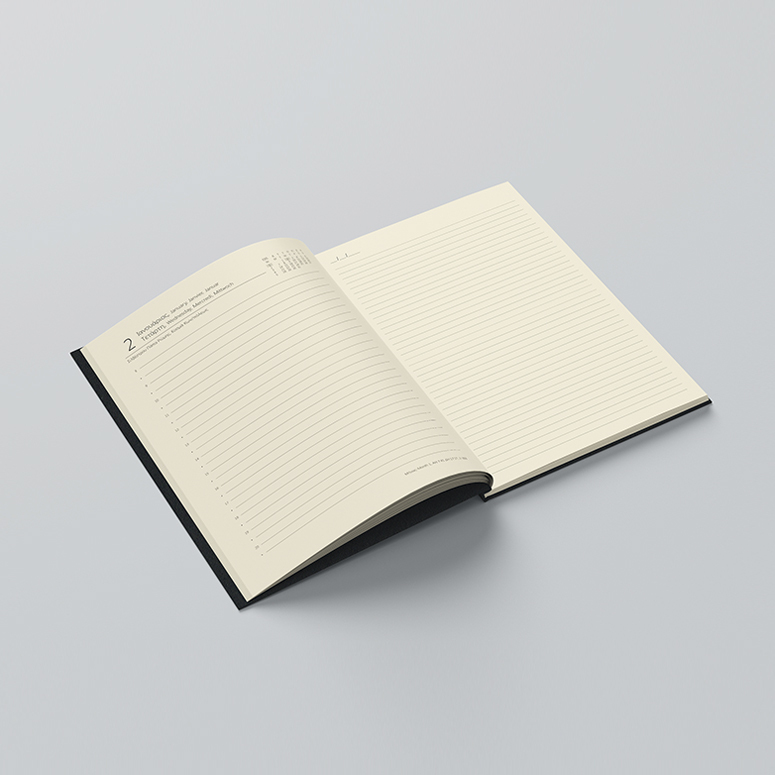 Extra lined pages for notes at the beginning or the end of the diary so as to increase the writing space and the flexibility use of the book. 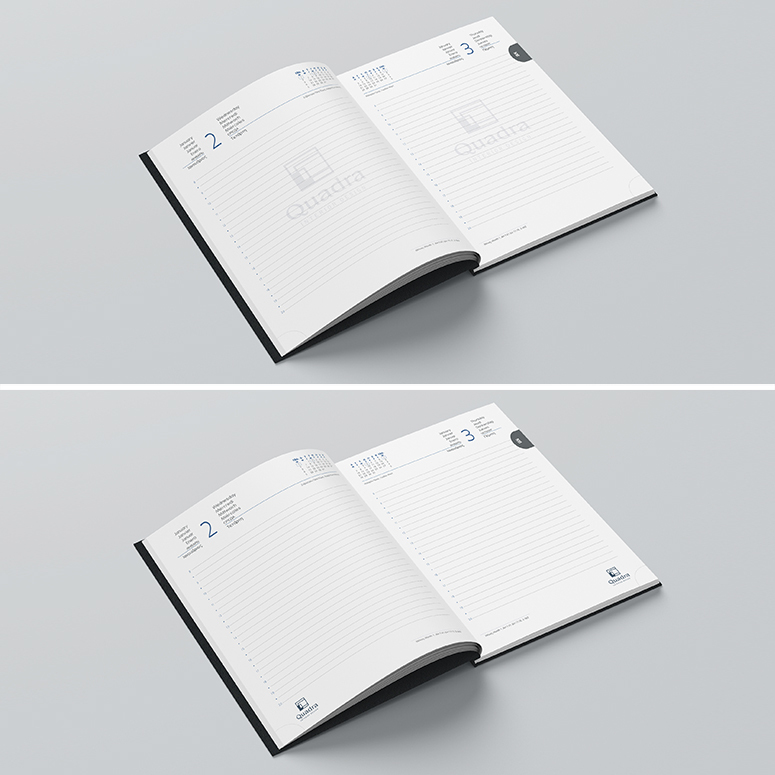 Advertising extra pages at the begginning or the end of the diary or notebook or even between its pages. Full colour offset printing and thread bound, which adjusts the pages to the spine of the book and ensures the high quality result. Offset printing of the logo at the footer of every page or at the center with watermark. 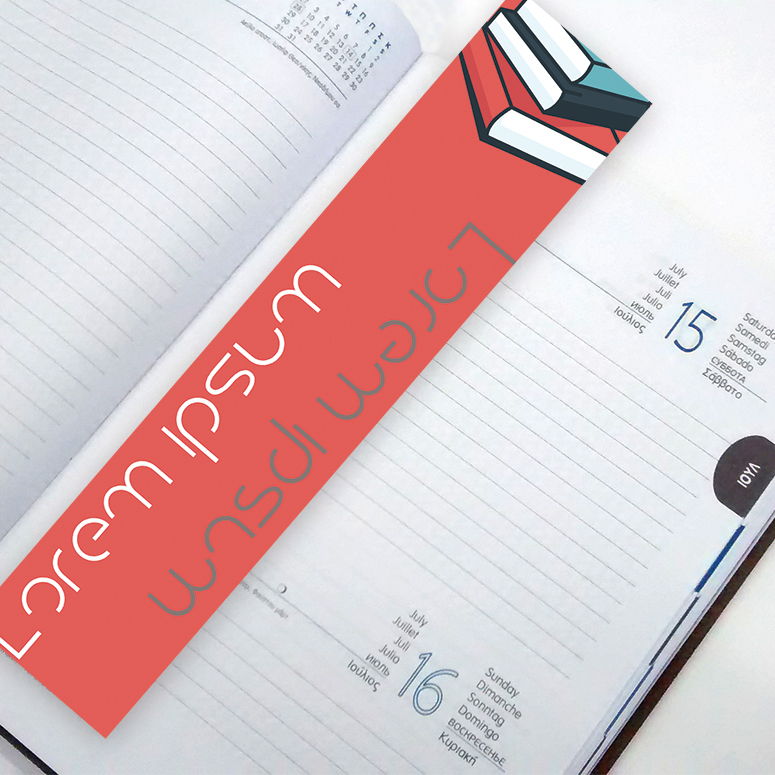 Option of printing different messages per 8 or 16 pages. UV varnish on the illustrated collection covers to highlight specific details of the book and create a contrast between the matte background and the glossy UV spot. 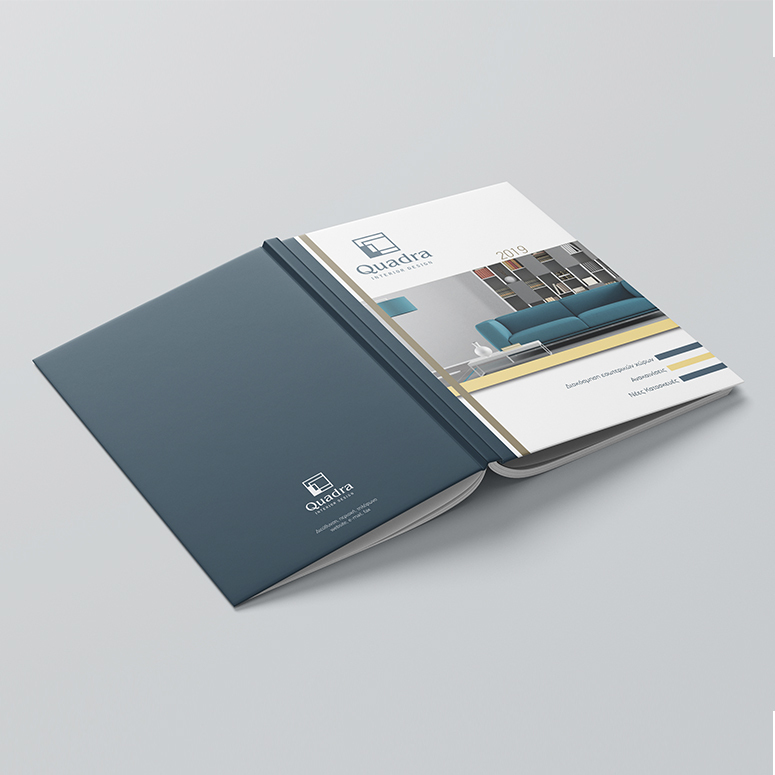 Full colour cover printing of the corporate artwork with customized design, according to the specifications, with matte or glossy or raised or velvet lamination. 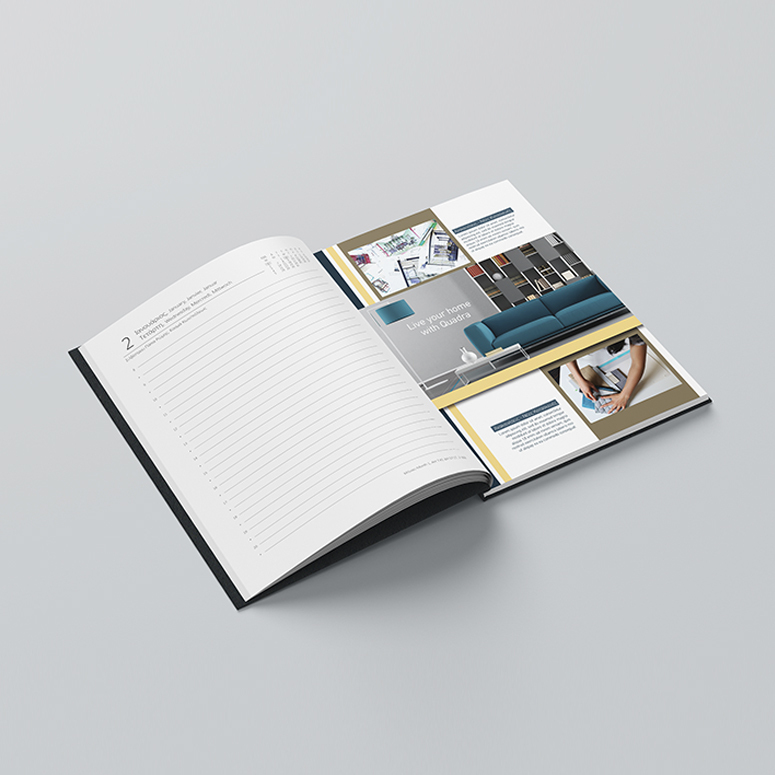 Printing options of four colour printing or in combination with pantone colours. Name printing on the cover of the book for a personalized result. 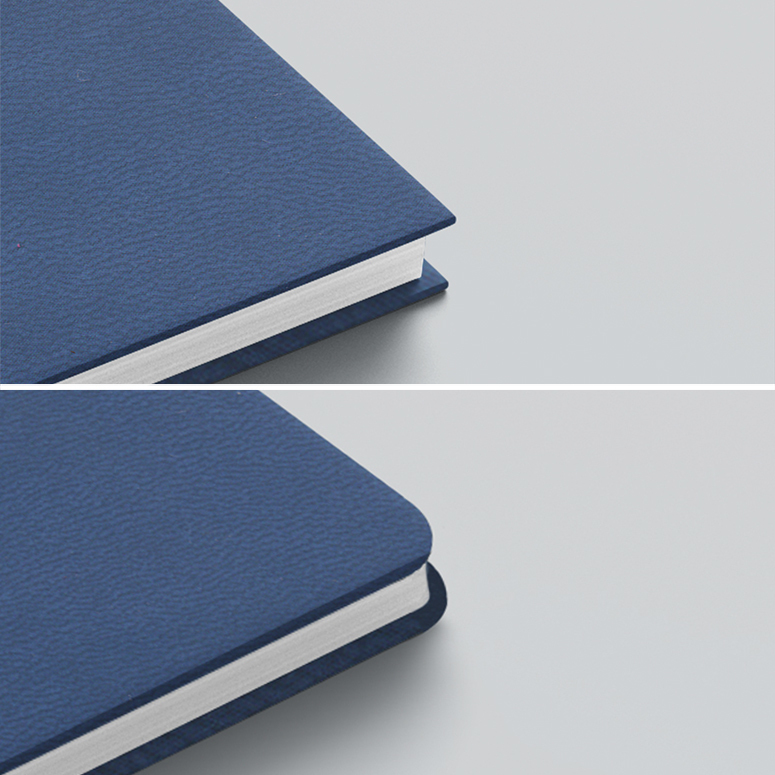 Option of decorative book seam on the cover of the book. Available colours: black, dark grey, grey, silver, brown, gold, salmon, dark blue, light blue and white. Full colour printing on the cover of the book via silkscreen, for the most accurate colour results on every cover material. 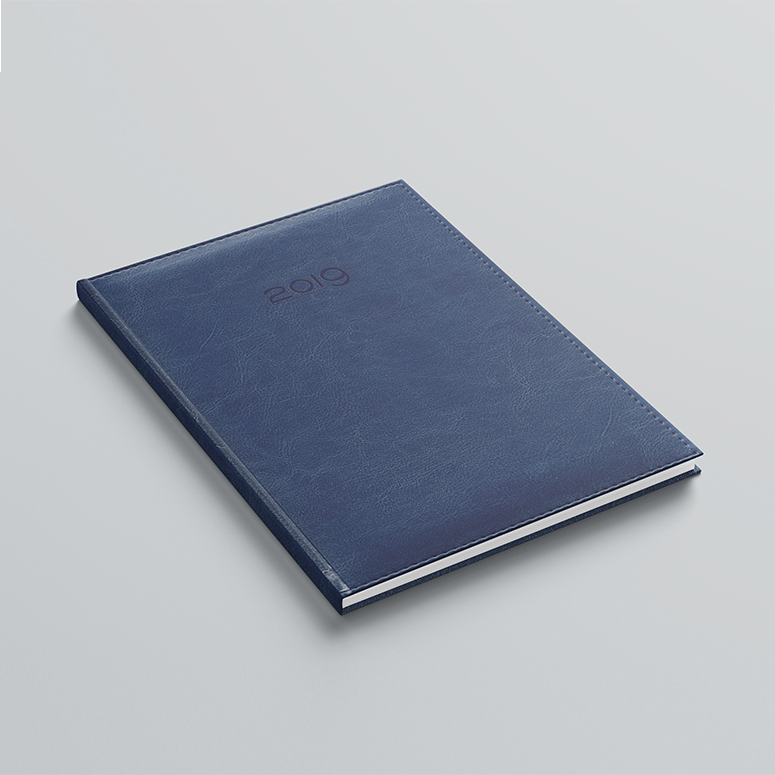 Corporate motif printing on the whole cover of the book via hot or light embossing. 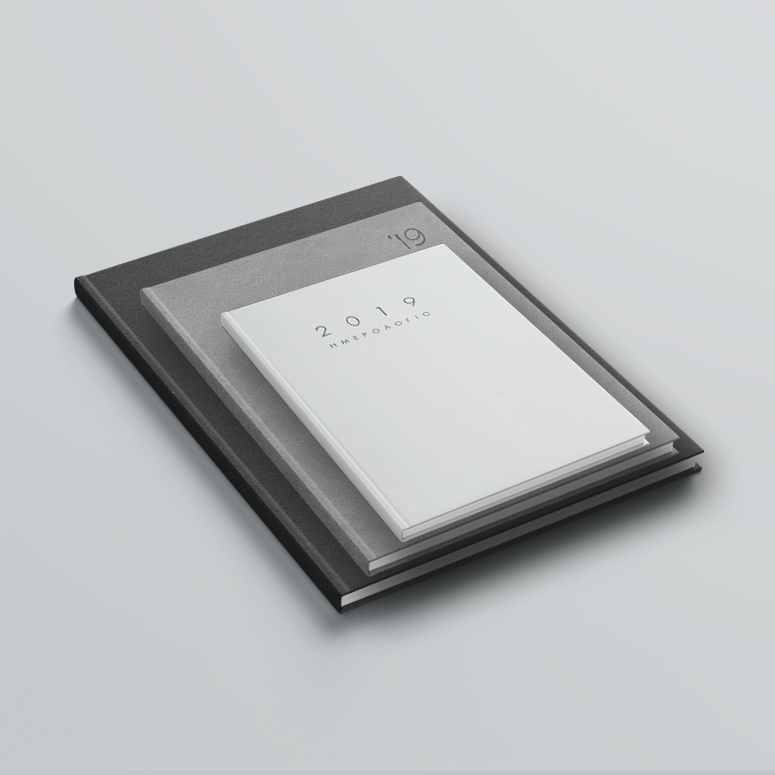 Logo printing on the cover via foil embossing, which forms a metallic and shiny result. 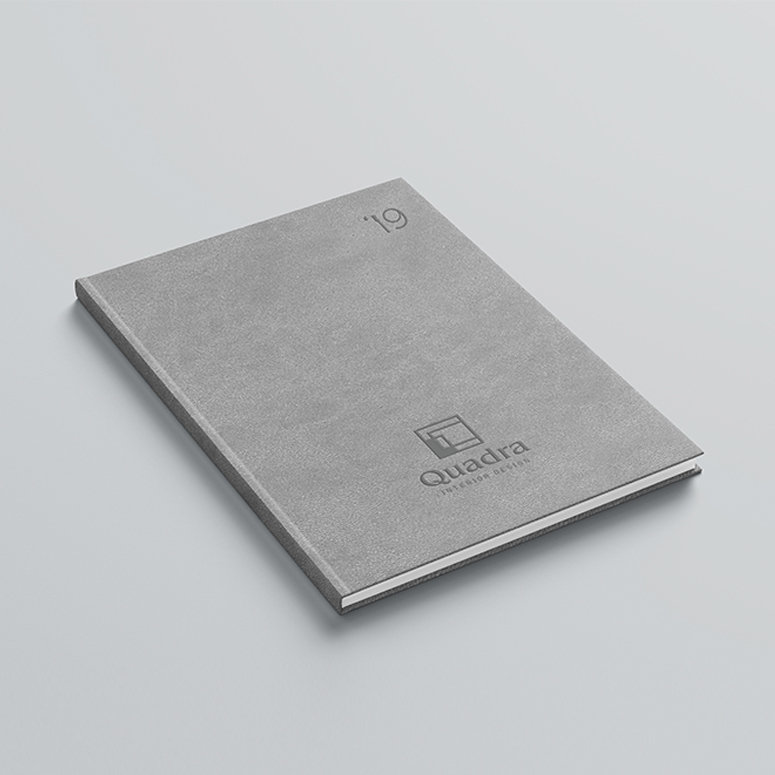 Logo printing on the cover via colour embossing. Available colours: black, white, blue, light blue, grey, green, yellow and dark red. Logo printing on the cover via light embossing, which functions in a similar way to hot embossing, but it is aplied in lower temperature and forms a more distinctive result. Logo printing on the cover via hot embossing, in which the logo is embossed through the very high temperature and so a stylish and high quality result is achieved. 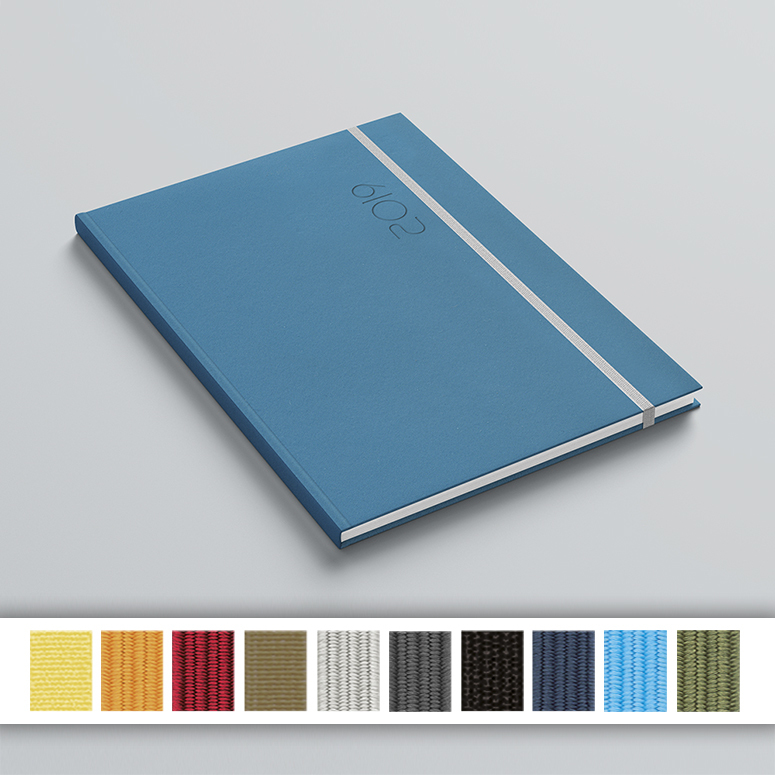 Option of choice betweein the following bookbinding types: hard binding or case binding, flexible binding, spiral binding, linen and thread sewing binding. Option between pointed or rounded book corners. 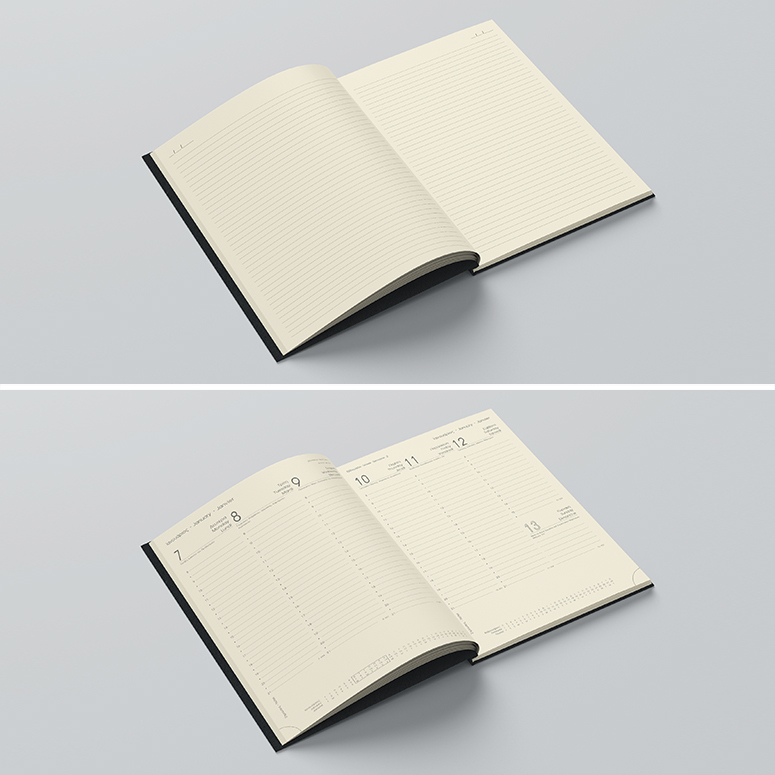 Option between several book sizes such as 17Χ25, 14Χ21, 13Χ21, 12Χ17, 9Χ13 and 9Χ17 cm in a diary or notebook layout. 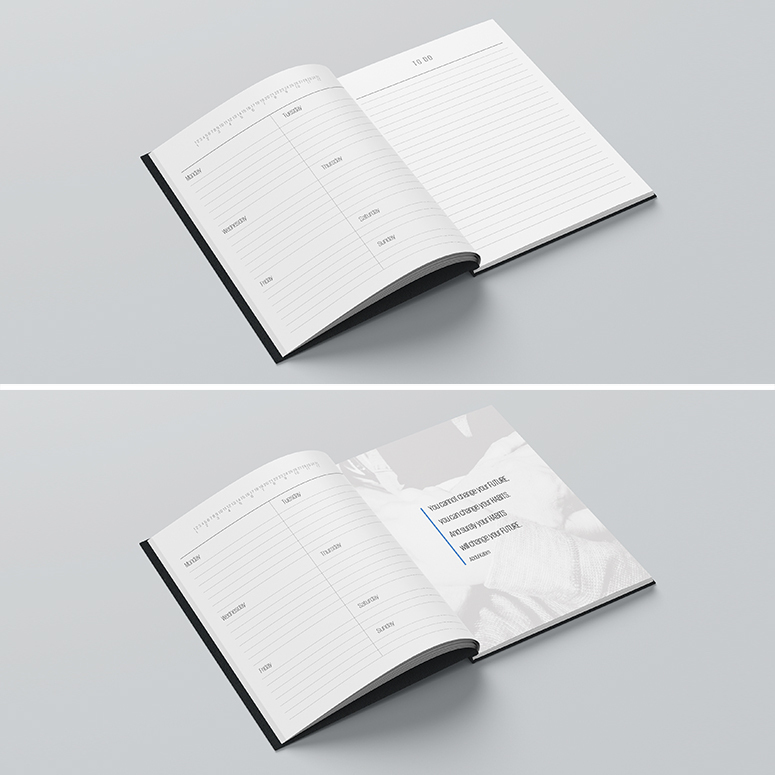 Option between a diary or a notebook or many other different book types in offset or ivory paper.